The railways say that it not only unveiled India’s fastest train, Train 18 which breached the speed limit of 180 kmph during trials, but also managed to bring down accidents across its network of 60,000 kms in 2018. The transporter has listed out its best achievements like elimination of unmanned railway crossings, commissioning of dedicated freight corridors (DFCs), improvement in coaches and trains, easy ticket bookings both reserved and unreserved category, online monitoring of rolling stock, connectivity to the north east states, rapid installation of bio toilets, Mission Raftar and commencement of first session of India’s first Rail and Transportation University. However, when it comes to a common man, who largely travels in unreserved coaches known as the general class, there are many grey areas which need the railways’ attention. 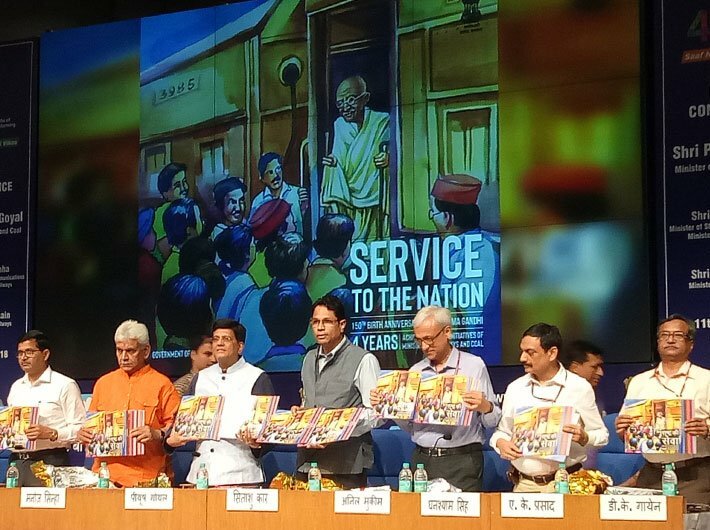 Railways minister Piyush Goyal has to work hard to improve the services of the railways and commission new projects before the Lok Sabha elections in 2019. The railways have been drawing extensive criticism from passengers for its failure to improve quality of food served in trains and at stations. The transporter, however, has reviewed its catering policy and has been focusing on preparing food in its modern base kitchens to serve healthy and tasty food to its passengers. Except a few premium trains like Rajdhanis and Shatabdis, the food quality remains the same and that often leaves passengers in a lurch who feel cheated after being served sub-standard food. Overcharging of food items by caterers is another issue which needs to be resolved by the railways. In fact the CAG had also ridiculed the railways for its poor food quality in 2018 and even gave some suggestions to the latter to serve better food. Punctuality of trains has always been a matter of concern for the railways as it miserably fails especially during winters because of lack of technical prowess to develop a device to run trains at higher speeds in foggy weather conditions. Every year the railways claim that it has developed a device to enable drivers run trains at higher speed but hundreds of trains continue to get affected due to foggy weather conditions in the northern parts of the country. If we leave aside a handful of premium trains considered as the VVIP, hundreds of mail passenger trains run with many hours delay almost throughout the year mainly due to heavy congestion on the existing routes and their less prominent status. Despite giving a boost to coach manufacturing, the railways have failed to ensure people get confirmed tickets in most of the trains. Getting a confirmed ticket is still a challenge to lakhs of travelers due to lack of general class and sleeper coaches. Though there is quite a progress in terms of cleanliness both inside the trains and at the platforms, the railways still prefer to turn a blind eye to maintain impeccable cleanliness at station premises. It says that it has stepped up cleanliness at the stations under Swacch Bharat mission; yet poor cleanliness can be spotted at major and small stations. Against a total of 104 various accidents in 2016-17, the railways registered 44 between April 1 and November 30 in 2018.